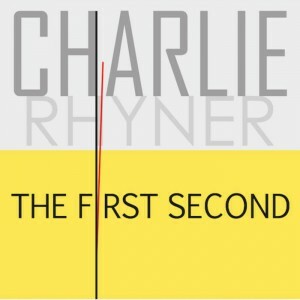 The album which I would like to present today comes from Charlie Rhyner, a guitarist from the New York area. 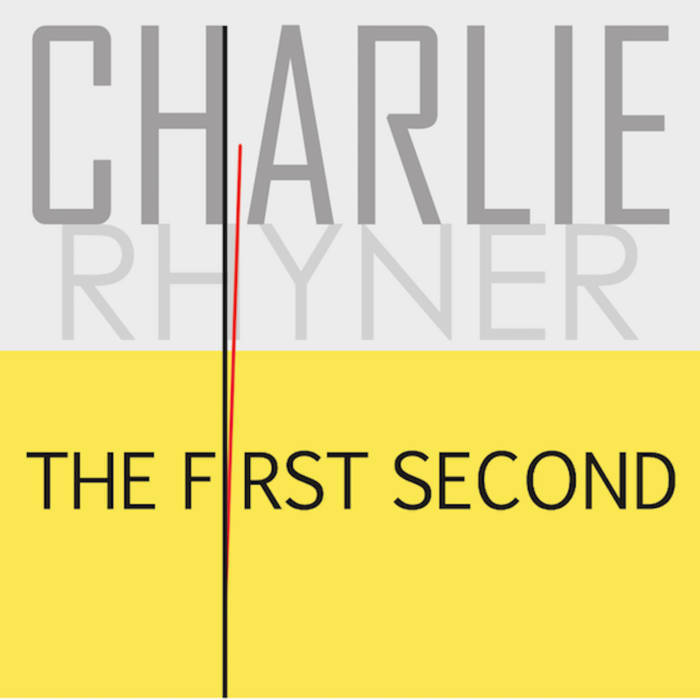 “The First Second” is his second album and it features six originals from Charlie plus three cover songs. The official release date is June 1st, 2018, but you can already buy and download the album. Charlie started playing guitar as a teenager and focused always on writing and recording songs (to all parents: please buy a house with a basement, so your children have an area to do such things). He studied classical and jazz guitar and works now as a music teacher at a public school in New York. 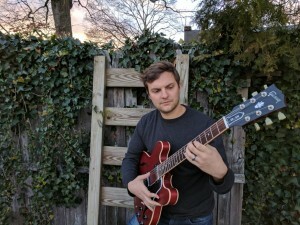 He told me that his inspiration came initially from people like Neil Young or Tom Petty, but later he listened also to Miles Davis, Phish or Cream. The guitar players he admires are John Scofield, Mike Stern or Pat Metheny. Charlie explained to me that he plays a lot with Mike Roninson and he met Graciliano and Imraan by lucky circumstances at a jam session. The album starts with “Jethiya” one of the six originals from Charlie. The melody is played by sax and guitar, with fine rhythmic changes. Imraan takes the first solo and Charlie the second one. Bass and drums provide a solid and stable layer for the soloists. “Golden Cuffs” is the second original. Instrumentation is guitar trio only featuring Charlie and Mike. A soft tune, played nicely and dynamically. The third song is called “Pat’s Print” and is a blues with solos from all musicians. “Nardis” by Miles Davis is the next tune on the album. For me the album starts to take off with this tune. The first three songs are what you call in ice skating “short program” but the “free skate” begins here. Charlie told me that he really “likes and identifies” with this song, but also Mike Roninson plays a great double bass solo. The next song is called “Boozy Dough” and was recorded at Charlie’s house. It’s like an interlude with just some guitars and a little bit of percussion. Gives you a little bit of a break before we continue with “Juju” by Wayne Shorter. This is also one of my favorite songs and Charlie, Mike and Graciliano know how to play it. Very well done. “Breakdown” by Tom Petty is next. We had Tom Petty before as inspiration and so Charlie took the chance to arrange this song after seeing Tom Petty live last summer. It is very well arranged with a killer piano sound. “Handsome & Healthy” comes with a steady beat and again a great bass solo. The album closes with “Black Daniels” a song that starts soft and easy. According to Charlie “the song falls apart in the middle” where the band moves into a steady groove allowing Imraan and Charlie to improvise freely. As a summary I have to say that the album is very well done, the sound of the instruments is brilliant. The musicians play excellent and Charlie has done a great job in composing and arranging the material. 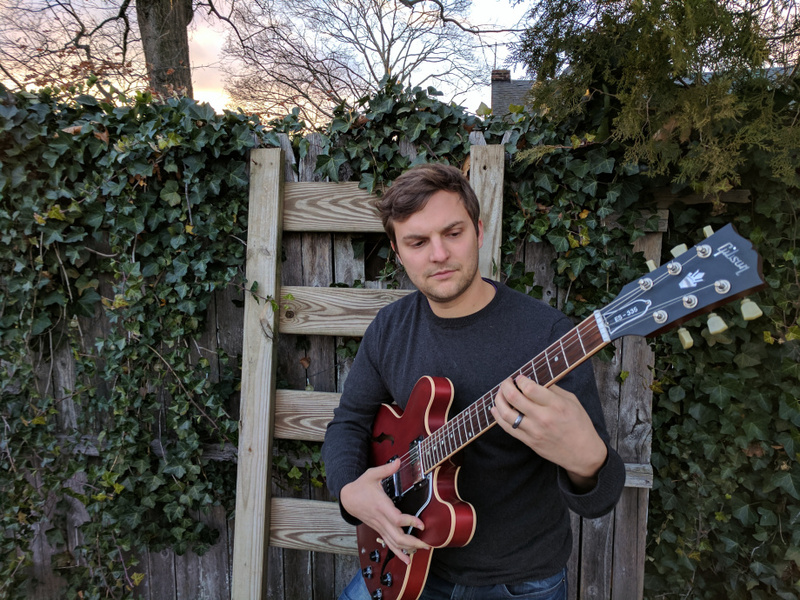 Charlie and his comrades are also active performing musicians in the NYC area, so check out the link below and you might have a good chance to listen to some of the songs live. 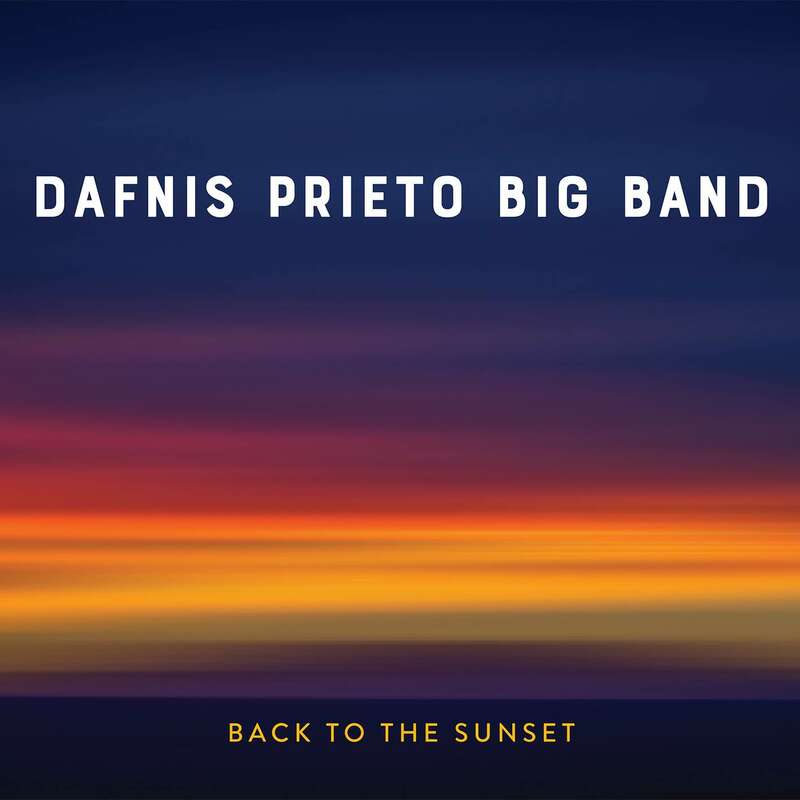 Cuban-born drummer, composer and bandleader Dafnis Prieto releases the Dafnis Prieto Big Band’s debut album, “Back to the Sunset”, on Friday, April 6, 2018. Prieto composed and arranged nine tunes for the album, honoring his musical heroes and mentors including Eddie Palmieri, Chico O’Farrill, Bebo Valdés, Jane Bunnett, and Michel Camilo. The line-up of the band features 5 saxophones, 4 trumpets, 4 trombones, piano, bass, drums and percussion, almost like a classic big band, the sound however is true Latin jazz. The CD starts with “Una Vez Más” featuring Brian Lynch on trumpet and is dedicated to Tito Puente, Eddie Palmieri & Brian Lynch. After a long intro, starting easy with bass, drums and percussion, the volume and intensity increases by adding more registers and the trumpet starts with the melody. We hear a Eddie Palmierei-inspired piano by Manuel Valera and a great trumpet solo by Brian Lynch. The second song “The Sooner the Better” is dedicated to Egberto Gismonti & Jerry González and is a slower tune, but with great dynamics. “Out Of The Bone” surprises with different modes, starting with a steady beat and switches to a faster Samba-like groove. The title song “Back to the Sunset” features Henry Threadgill on alto sax and is dedicated to Henry Threadgill & Andrew Hill. It starts very elegiac and gives the soloist the necessary space to perform in his unique and free style. The 5th song “Danzonish Potpourri”, dedicated to Bebo Valdés, Art Blakey & Jane Bunnett returns back to Latin groove. The melody is nice and easy but the arrangement is very sophisticated changing grooves and dynamics. “Song for Chico” featuring Steve Coleman (alto sax), dedicated to Chico O’Farrill, Arturo O’Farrill & Mario Bauzá, comes with a great horn section arrangement before Steve Coleman starts with his solo. “Prelude Para Rosa” (dedicated to Bobby Carcassés & Dave Samuels) begins with a contemporary-jazz piano solo before the band takes over. After tempo and style change from Swing to Latin the main theme is built-up starting with the sax section and culminating after 4 minutes with the trumpets. “Two For One” is dedicated to Buddy Rich, Chucho Valdés & Hermeto Pascoal has again a long intro, based on a drum-vamp and shows the band playing under full speed with just a little time to take a breath during the saxophone and piano solo. At the end we get to hear a excellent drum and percussion solo. The last song “The Triumphant Journey” is dedicated to Dizzy Gillespie & Chano Pozo and the main theme is one of the highlights of the CD. Great melody, excellent arrangement and played perfectly. The first solo goes to the trumpet, obviously, followed by saxophone and trombone solos and ends with the magnificent theme. This CD is really intense and eruptive, you feel the energy and the power of the music and the musicians. The arrangements are excellent and the band brings together some of the world’s best Latin jazz musicians, many of whom have previously played Prieto’s music in his other bands. 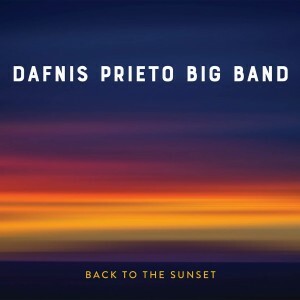 The band strives to make an impact as a leading Latin jazz big band recording and performing for years to come, and to provide a platform for Prieto to write for big band, a format he fell in love with as a child.